Kids Songs Youtube Channels List. 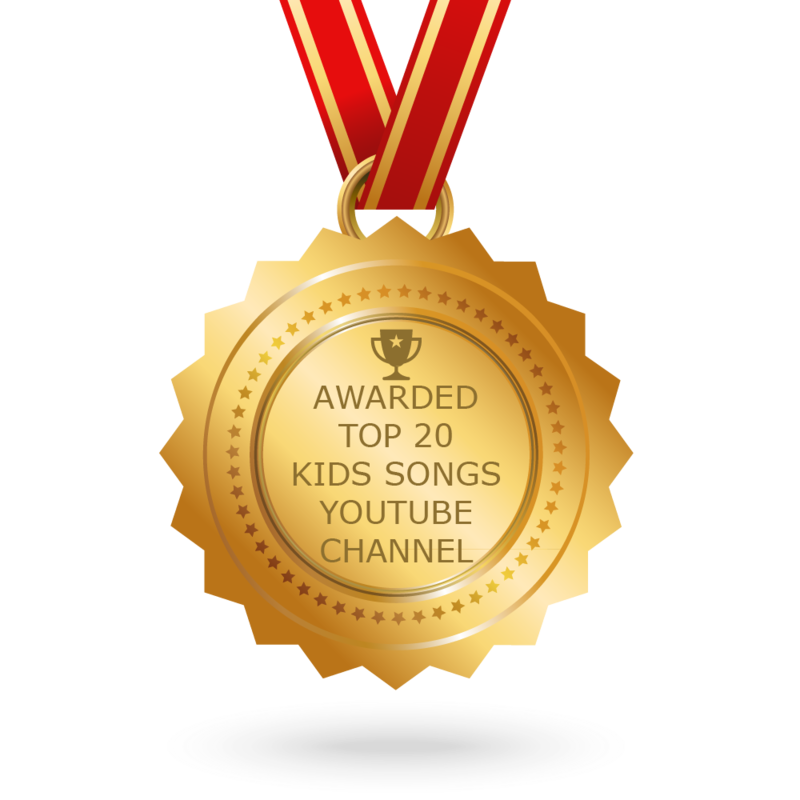 The Best Kids Songs Youtube Channels from thousands of Kids Songs Youtube Channels in our index using search and social metrics. We’ve carefully selected these youtubers because they are actively working to educate, inspire, and empower their audience with frequent updates and high-quality videos. About Youtuber Dear parents, we at Kids tv know that the first years of a child’s education are of utmost importance, as they are very restless and energetic preschoolers. Kids TV is the perfect way to ensure a rounded education for your child outside kindergarten. We provide an array of 3d children rhymes and songs for kids & we introduce your toddlers to a variety of English rhymes. About Youtuber Kids songs, nursery rhymes, and more! Learn and explore through song and movement with Super Simple Songs! Our team of educators has created some of the most popular children's songs on YouTube to get up, move, and sing along with! Get ready for a musical adventure in rhyme! About Youtuber BabyBus provides intelligent early childhood educational content online for children up to 6 years of age. BabyBus have developed early educational games, songs, and cartoons focusing on language, health, science, society, and art, all based on Montessori education theory. About Youtuber The official channel for all things Mother Goose Club. Preschoolers, parents and teachers love Mother Goose Club's six colorful characters that lead children through classic nursery rhymes. Come dance, clap and sing along! About Youtuber LooLoo Kids is the place where children find all their favorite nursery rhymes and songs with lyrics. Our fun 3D animated videos are perfectly adapted for their development, and kids enjoy learning new things while watching the videos and our carefully selected playlists. Enjoy the best quality edutainment for babies, toddlers and kids. About Youtuber “Dave and Ava Nursery Rhymes” is animated series developed especially for young children, ages 1-6. Each episode features Dave:a boy dressed as a puppy & Ava:a girl dressed as a kitten, along with their friends. Our nursery rhymes teach little ones ABCs, numbers, shapes, colors, & more! You can relax for a moment, Dave & Ava will entertain your children while teaching them favorite nursery rhymes. About Youtuber Kids Channel is an online educational platform, specializing in graphic videos, nursery rhymes and songs for children. With the help of colors and graceful movement children develop their cognitive capacities, imagination, creativity and logical reasoning. About Youtuber We feature classic nursery rhymes and kids songs like Old MacDonald had a Farm, The Wheels on the Bus, and The Itsy Bitsy Spider. We have tons of super-funtastic songs like Twinkle Twinkle Little Star, Mary Had a Little Lamb, Johny Johny Yes Papa, 5 Little Ducks, 5 Little Monkeys, 5 Little Speckled Fogs, and The Finger Family Song! About Youtuber Learn Colors & Nursery Rhymes with 3D Baby Doll & Kids Kids Animation Toys. Fun Learning Youtube Channel Dedicated to Children, Toddlers and Babies. About Youtuber We at Preschool Nursery Rhymes do exactly that; we create compilations of videos for kids that pays sole attention to making the child learn the most in the least amount of time. Our educational videos are filled with lyrics from your toddler’s favorite nursery rhymes and our original songs for kids, accompanied by music that will store itself indefinitely in your child’s little brain. About Youtuber A family of funny, smart and friendly 3d animated cartoon animals that will teach you colours, shapes, alphabets and numbers, all through baby songs. You can sing the nursery rhymes that you learn in kindergarten, hear new children songs and get a good night’s sleep with some lullabies. About Youtuber Fun, catchy songs for children's education and learning English! Find Songs that are great for young learners, Pre-K, Kindergarten, Preschool, special needs children, ESL , EFL and children Learning English, and children with autism. About Youtuber Where you're taken on a journey across time and imagination, in the form of visually appealing educational rhymes. We endeavour to make traditional rhymes more relevant where the moral of each story is taught in a fun, educational manner with a nice little surprise at the end of each video. About Youtuber Welcome to Teehee Town!! The fun place to be!! With Len and Mini! Len loves to sing and dance and Mini loves to explore, as they meet new nursery rhymes characters and learn new things! About Youtuber Our channel aims to create: budding geniuses that can recite their numbers,shapes and ABCs with confidence and pride. Our methods are simple, we use a series of compilations of interactive and colorful videos for babies with 2D and 3D cartoon characters that every infant, toddler or kid will immediately become best friends with. About Youtuber Focusing on fun, Little Angel burst onto the online scene as a YouTube channel. With a fresh and fun approach to children’s entertainment, Little Angel guarantees hours of high-quality fun for children and toddlers. About Youtuber Kate, Chris, Jack and Jill set on an adventure to the Magical land of Nursery Rhyme Street, where all the popular Nursery Rhyme characters come alive and sing along with them! Around each corner there is a new friend to meet, Come, join along and sing out loud at the Nursery Rhyme Street! About Youtuber Dear Parents! Welcome to our Official Channel "My Little TV - Kids Songs and Nursery Rhymes"!! It's Specially designed as a Parenting tool for Preschool kids, toddlers and Children to be educated while also being entertained. About Youtuber Cartoon Town have videos on nursery rhymes and kids songs. The wheels of every bus in our compilations of kids videos that goes round and round, and your toddlers can pretend like they are on a bus and have the ride of a lifetime. CONGRATULATIONS to every youtuber that has made this Top Kids Songs Youtube Channels list! This is the most comprehensive list of best Kids Songs Youtube Channels on the internet and I’m honoured to have you as part of this! I personally give you a high-five and want to thank you for your contribution to this world.